Room decorating ideas that include a rocking chair look inviting, relaxing and familiar. 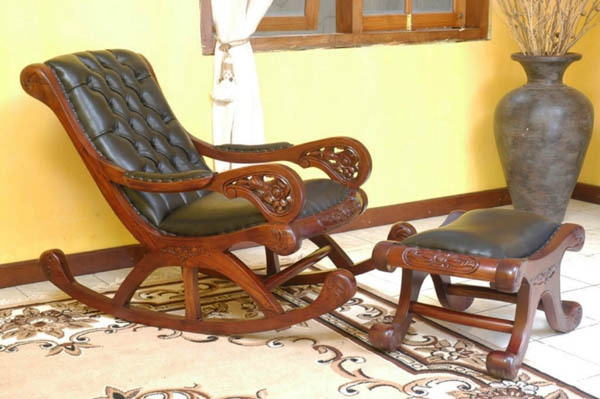 Antique, traditional and contemporary rocking chairs make room decor feel cozy and calming. Everyone likes these functional and always modern furniture items that add comfort, interest and fun to room decorating ideas. Made of wood and metal, bamboo or plastic rocking chairs are convenient, practical and stylish furniture that evoke pleasant and nostalgic emotions, making room decorating more interesting and enjoyable. 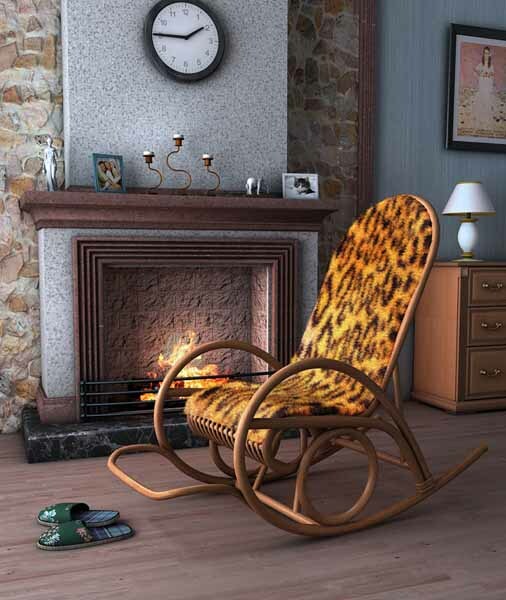 Rocking chair design ideas vary in style, material, texture, shape and color, offering many different models for any room decorating, including outdoor rooms and home interiors. 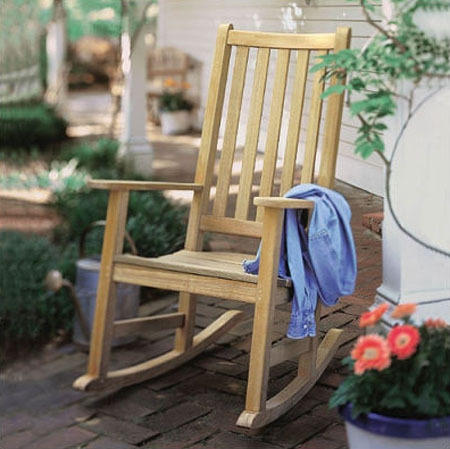 Traditional and contemporary rocking chairs are great decorations for porches, decks, patios, terraces and balconies. 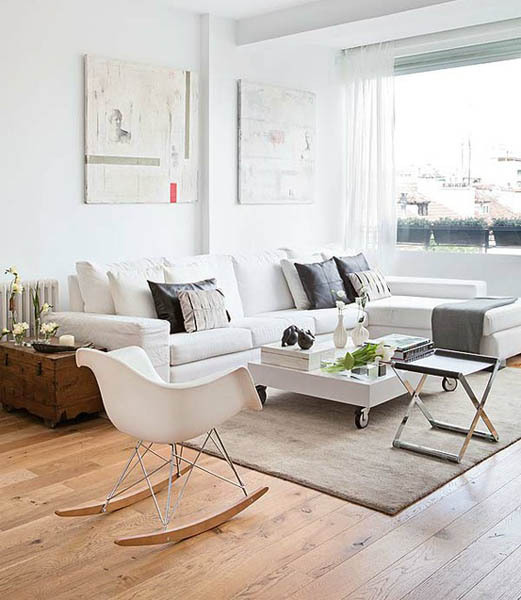 These modern furniture pieces look gorgeous in living rooms and bedrooms, kids rooms and sun rooms, adding unique personality and retro charm to room decorating ideas. Rocking chairs are great furniture pieces for large bathroom designs, especially for modern bathrooms with sauna cabins and luxurious bathtubs. A rocking chair in the bathroom corner works as well as a stool or an arm chair, bringing more fun into modern bathroom design. A wooden or bamboo rocking chair can be stained or painted to match any room colors. Painting a rocking chair in white or light gray colors is a nice way to create bright room decorating and match your home decor color palette. Bamboo or wooden rocking chairs in bright colors add bold accents to room decorating ideas. 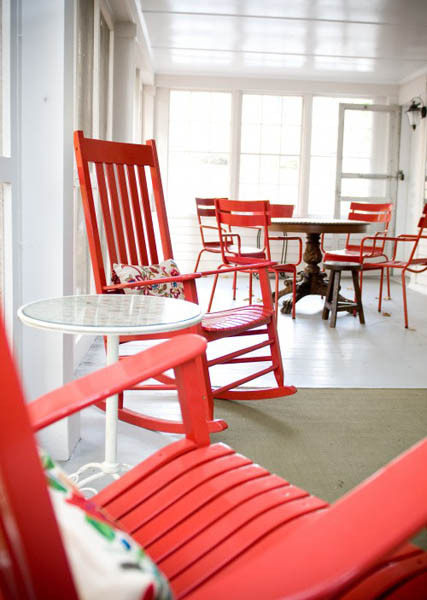 White rocking chairs match the door and window casing in your home, creating harmonious room decorating. Natural wood brown colors and green paint tones are excellent for decorating outdoor rooms. Garden furniture in green and brown colors look organic and natural on your balcony, porch, terrace or patio, while bright furniture pieces make wonderful backyard and garden decorations. 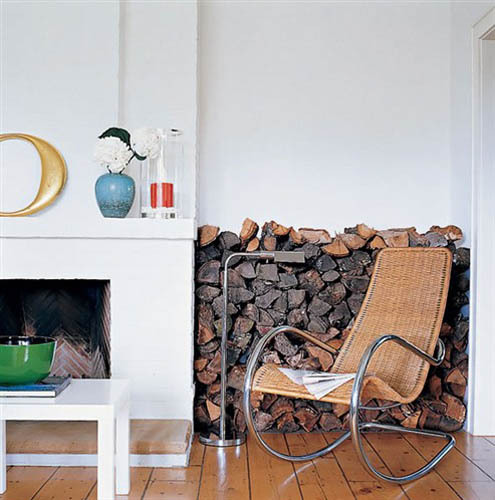 A room corner or an empty wall are perfect locations for an antique, retro or contemporary rocking chair. A rocking chair visually brings a room corner closer to the center of the room, and the corner does not look remote and unattractive. Two rocking chairs with a coffee table or a planer stand look inviting and pleasant. 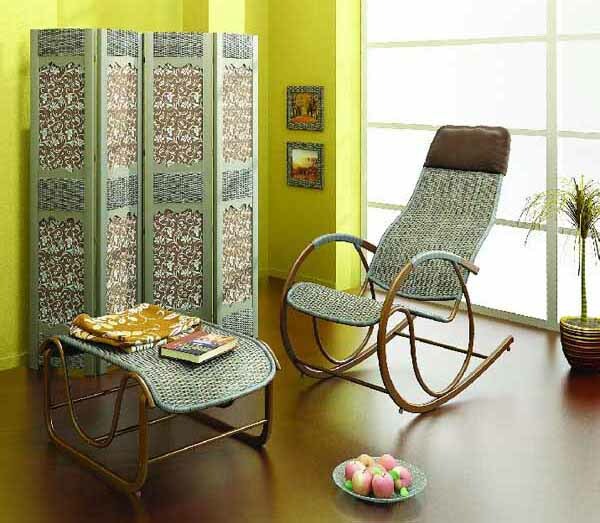 Two rocking chairs in opposite corners form a symmetrical appeal, enriching your room decorating ideas. Rhythmic rocking is a quick way to relax and calm down the nervous system. 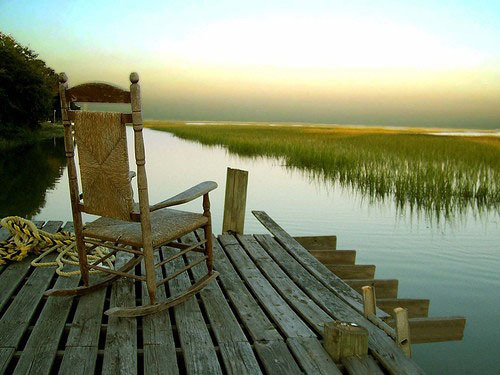 A rocking chair help people distract their upsetting thoughts and relax. A rocking chair is a great for those who have trouble sleeping. Just a half an hour on a rocking chair dramatically relieves stress, relax the mind and body, and prepare for good night sleep. Rocking is a nice way to relax muscles and softly train the back and leg muscles. Accustomed to swinging, people easier tolerate long trips in cars and buses, as well as traveling by air. A rocking chair is a simple and ingenious invention, which continues to delight people. This furniture item is the symbol of relaxing, quiet and cozy room decorating that energizes and harmonizes home decor.